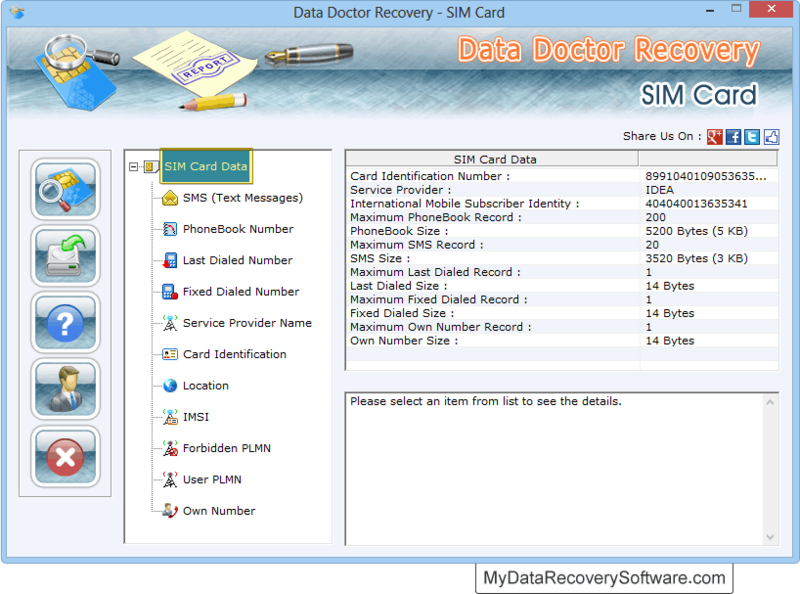 Sim Card data recovery program undelete accidentally deleted information including text sms (inbox, outbox and drafts), personal contact numbers and other sim card related details. 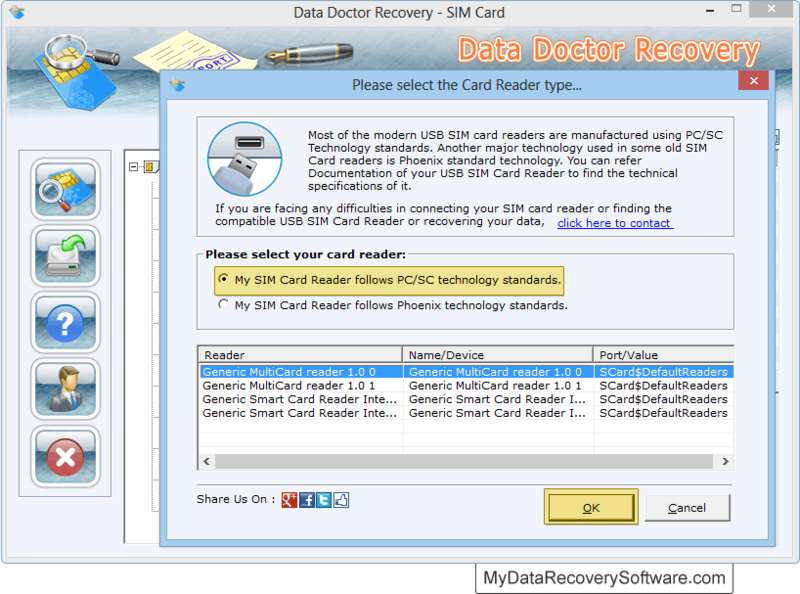 Software scans the sim card chip with the help of sim card reader and get back lost or deleted data. 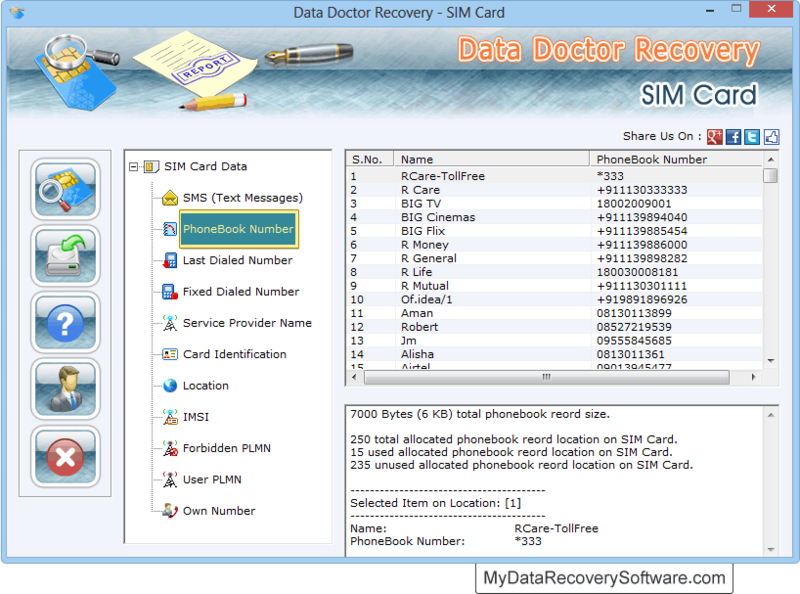 ➢ Recover sim card entries accidentally deleted by user such as saved text messages and phone book contact numbers. ➢ Software provides complete details of sim card such as Network/Sim card service provider name, Card identification number and IMSI number. ➢ Easily support GSM sim cards of any country or network service provider. Lost information due to improper usage of sim card etc. 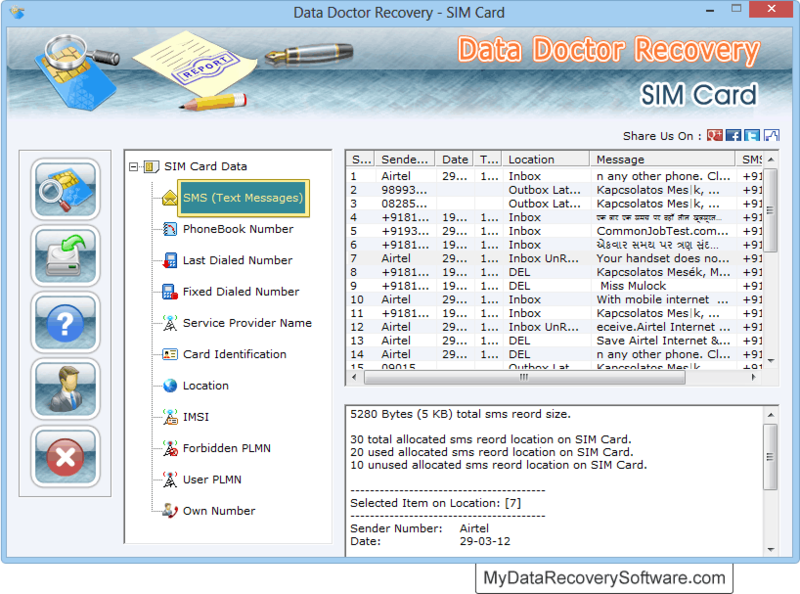 Click on 'SIM Card Data' from left panel to view the sim card information. Select SMS (Text Messages) to view the recovered text messages. Click on PhoneBook Number from left panel to view recovered phonebook numbers in right panel.